M-Protect is a producer of high-end automotive integrated security solutions. We develop solution securing the use of your vehicles and the access of their loading compartment. Our solutions are useable as interconnectable modules and are ready to connect with the communication gateway of your choice ! 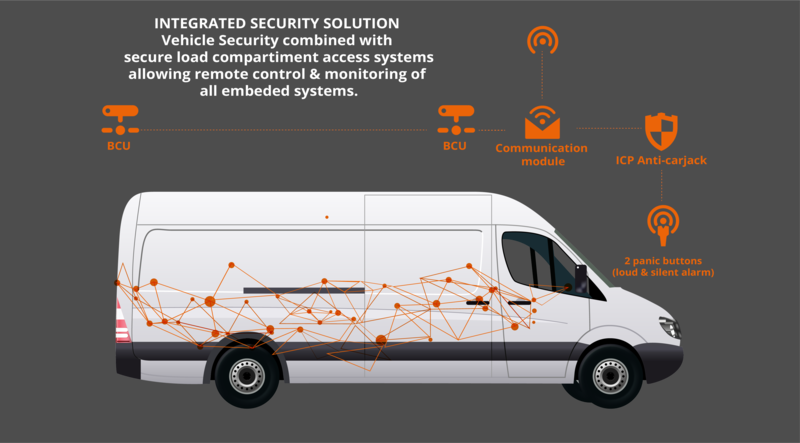 Our solutions for vehicle security offer additional security layers to your vehicles or machines engine ignition; secure them with only a 4 digit access-code, secure them with a code determining the duration how long they can be used or secure them with an anti-carjack solution detecting the authorised driver is still behind the steering wheel. Secure the loading compartment of your vehicles with a basic electronic lock. Our solutions offer additional mechanical locks to secure your loading compartment. Going from a basic mechanical pen to digitaly controlled security lock systems allow intelligent lock schemes of your vehicles. Looking to secure your environment with the best security on the market ?